Joy As An Act Of Resistance. 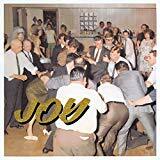 is ranked as the best album by Idles. Members who like this album also like: To Pimp A Butterfly by Kendrick Lamar, A Moon Shaped Pool by Radiohead and ★ (Blackstar) by David Bowie. Related links: top tracks by Idlestop tracks of the 2010s, top tracks of 2018. Showing latest 5 ratings for this album. | Show all 269 ratings for this album. Top Tracks: "The Colossus", "Never Fight a Man With a Perm", "Danny Nedelko"
Manages to make punk seem relevant again. Impressive album that honestly sounds like early Clash suddenly placed in 2018. On first listen, these guys sound like a band of drunken louts. "Bloody hell...alls I'm saying is that they had no fukkin right"
Upon multiple listens, these guys still sound like drunken louts, but there's a depth and genius there. I love it. I had a bit of a hard time with this album. I like almost every song, I agree with almost every message and I think the band it very talented. But, I don't think I loved any single song. It consistently pleased me but never blew me away. It is very clever, the lyricism is on point. The angry vocals do get a little bit grating by the time the album winds down which is evident in the fact that the last three songs are probably of lower quality than the rest. Some of the little melodies that they come up with in the middle songs feel out of place but some of them work really well, particularly the bridge in Television. I'd be very interested to hear what an extrapolation of this bridge or something similar would sound like. Perhaps, they already have material like that but this is all of the IDLES that I've listened to. Overall, I liked everything about the album but that is the extent of my affection. Fantastic indie rock with a hard, angry edge to it. Really energetic, really powerful. Great release. Can't believe I only just discovered this. One of the angriest, untamed, witty, and surprisingly positive albums released in a long time. I think I'm just missing what everyone else likes about this. But I love the energy and feel of the record. The songwriting isn't totally there for me, but it's also hardly the worst record of 2018. This is a beast of an album out of the UK. Can't believe I'm just now discovering it. Glad to see it rising on these charts. GREAT lyrics, socially conscious and with purpose. Incredible first half, but falls flat on the second half, still, some amazing songs. An unabashed punk masterpiece from Britain's best contemporary band - the performances, the wild-eyed seriousness of that mission statement, and some of the most fiercely inclusive music I've ever heard. This is the fire and fury 2018 needs, and Idles are just getting better and better. This snowflake's an avalanche. It's so rewarding to find a punk masterpiece like this in 2018. IDLES is keeping punk rock alive and kicking. Furthermore, it was time for some band to take the lead of new generations of people capable to kill previous idols who are a step behind of causes such as feminism, LGBT struggle, immigration and so on. 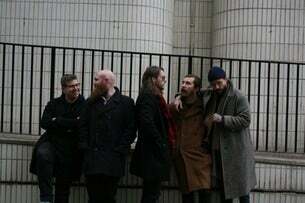 IDLES are merging these voices with an outstanding powerful sound creating the new anthems we were asking for. The celebration of immigration in "Danny Nedelko" and the scream against patriarchy in "Samaritans" are the peak moments of the record. Album of the year so far, and it's seems unlikely to be other way. Your feedback for Joy As An Act Of Resistance.